AGONIZING Over Recruiting? Me Too! 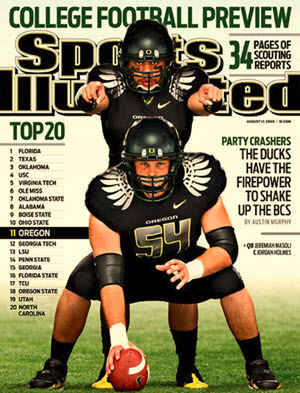 Are you fretting like I am about how Oregon’s football recruiting class will turn out? I should be more mature than to put so much thought into the whims of 18 year olds–yet a ton of men are paid a hefty amount of money to turn those whims into signed letters of intent (LOIs), so maybe it isn’t so silly after all. Nevertheless, if you care about your beloved Ducks as I do, ‘crootin’ matters, and we greybeards have seen the negative effects of being even one player short (Like a quarterback). This year has been a roller coaster, and while that is typical over the course of a recruiting season, having such a flurry of activity at the end–with further surprises almost guaranteed–is not typical of most years. Usually, Oregon has most of their recruiting done and “the hay is in the barn” by this time in February, with only a player or two still in question. Yet this year, Oregon has so many recruits still in play that a few decisions one way or the other could have a massive impact on the final class of 2018. So what have you and I been fretting about? As you recall from my recent articles, we signed seven players with a 4-star rating on Rivals.com during the early December signing period. We have verbal commitments (that usually stick 95% of the time) from four more, which would total 11 and make this Oregon class the second highest rated ever, trailing only the 12 4-star recruits signed in 2007. Remember that the Mr. FishDuck benchmark of eight 4 or 5-star players constitutes a great class, and last year the Ducks finished with nine, which was tremendous considering the late start the coaching staff had. (Two of the four star players, Bruce Judson and Rutger Reitmaier are not even with the team now). There are rumors about two of Oregon’s “verbals.” One of them, Andrew Johnson, is an amazing linebacker from Georgia whom FishDuck.com Talent Evaluator Mike Kelly describes as a punishing linebacker in the mold of Troy Dye. Johnson expressed doubt about his commitment to Oregon in a recent interview with Andrew Nemec of OregonLive, yet none of the recruiting sites show him visiting other schools. True recruiting Guru for Oregon football Justin Hopkins from ScoopDuck.com asserts that Andrew Johnson is still solid on the Ducks. While nobody is 100% in their predictions, he is a heck of a lot better than I am. Yet a Duck fan living in the Southeast noted that Johnson is located in Tifton, Georgia … which is as close to Tallahassee, Florida as Eugene is to Portland. Yikes! Other questions circle around Ducks prospect Eli’Jah Winston, who visited USC last weekend after telling everyone he was done with his trips. What??? … Unless, of course, he is trying to pry away one of our verbal commitments, as he is doing for the bottom-Bruins. Recruiting is quite the dirty game, and players who have visited and are serious about a school can suddenly be told that, “your position has been filled,” just as the Trojans told two major recruits whom the Ducks are now pursuing. These situations can open the door for Oregon, yet the Ducks have had the same conversation with a few prospects recently who saw their recruitment from Eugene come to an end because their positions were filled by other verbal commits to my beloved Ducks. Those openings can create opportunities at the last minute for schools who grind and pursue them, and nobody outworks head coach Mario Cristobal. The Ducks had a 4-star defensive end visit this last weekend who had been frozen out of other programs due to filled spots, which freed him to make the official visit. 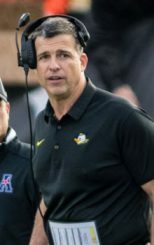 The relentless nature of this staff will help them pull out recruiting victories that were beyond the reach of the Mark Helfrich staff and left on the table by the indifferent staff of Chip Kelly. One recruit from Texas was very serious about the Ducks and wanted to visit and potentially play at Autzen Stadium, yet his mother was a UT (Texas) alum and wanted him to stay at home. The strategy was to get them both here on a visit so she could see how well her son would be treated in Eugene, as the majority who visit do end up committing to our beloved Ducks. We know this is an uphill battle, but can’t we still hope that Mama will let her player go out-of-state, just as the Molden and Cota Oregon legacy families did? Nope. The visit scheduled for this last weekend was cancelled. The Recruiting Record is ACHIEVABLE! By my count, Oregon has a real shot at signing another three or four of the 4 or 5-star players remaining, beyond their existing verbal commitments. On the other hand, we could roll snake-eyes on them and also lose two of our verbals. So the Ducks could sign anywhere between 9 and 15 of these highly coveted players? The high number would shatter the recruiting record, and the low number would be good, but a let-down considering what the Ducks had in their nest. Do you see why I am agonizing? This is a big spread, one that can determine the future of this staff and Oregon football in so many ways going forward. In the end, this is part of the entertainment–watching so many lives being affected by the whims of 18 year olds. If you don’t have season tickets yet, you should buy them! You can’t get this kind of entertainment on cable.